A sweet ending for a long search... I'm Abhishree, a 23 yr old Marwadi girl from the Maheshwari community. This is the story of how I found my life partner. My parents started looking out for a suitable groom for me about a year back, as soon as I completed my MBA. I wasn't too keen on getting married immediately, as I wanted to work and focus on progressing in my career for some time, before eventually getting married. But my parents convinced me that it would take a while before we could narrow down on a suitable match. My parents tried the usual channels for proposals.- the matchmaking auntie, family and business connections and marriage portals. We shortlisted some profiles and met about 3 guys and their respective families in the last year, but nothing seemed to click. Most families that we met were too traditional and not keen on a working bride. Another one we met and liked were not too keen on Marwadi rituals at the wedding and wanted a registered marriage. Being the eldest daughter out of the 3 in my family, my parents had always planned a grand wedding for me. 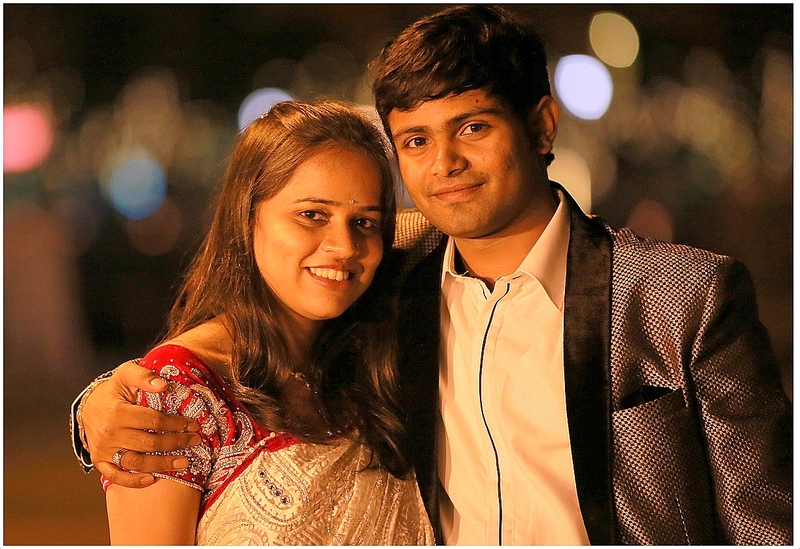 I'm got married in the end of last year, and I really want to express my gratitude to Marwadishaadi.com for helping me find my dream mate.